I read this article and found it very interesting, thought it might be something for you. The article is called Carpe Noctem: Give Us The Night and is located at https://www.totallydublin.ie/more/carpe-noctem-give-us-the-night/. 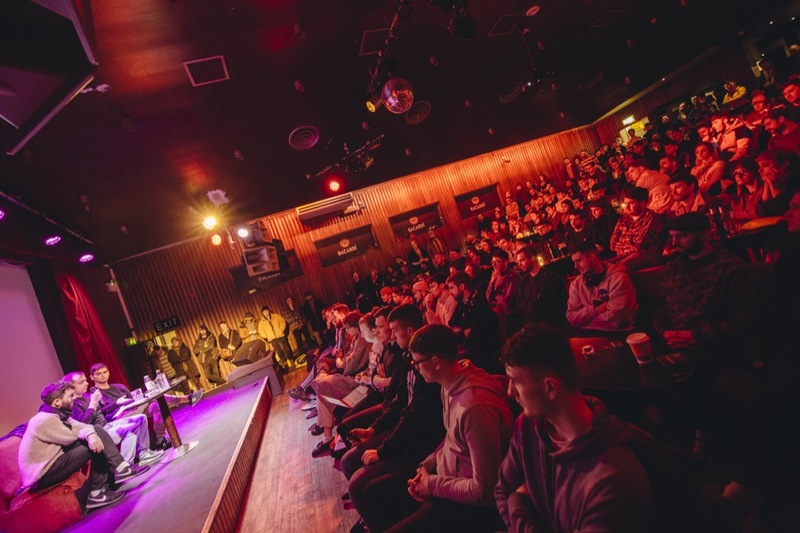 Give Us the Night hosted a series of talks around the country at the end of last month addressing the urgent needs of the clubbing community. 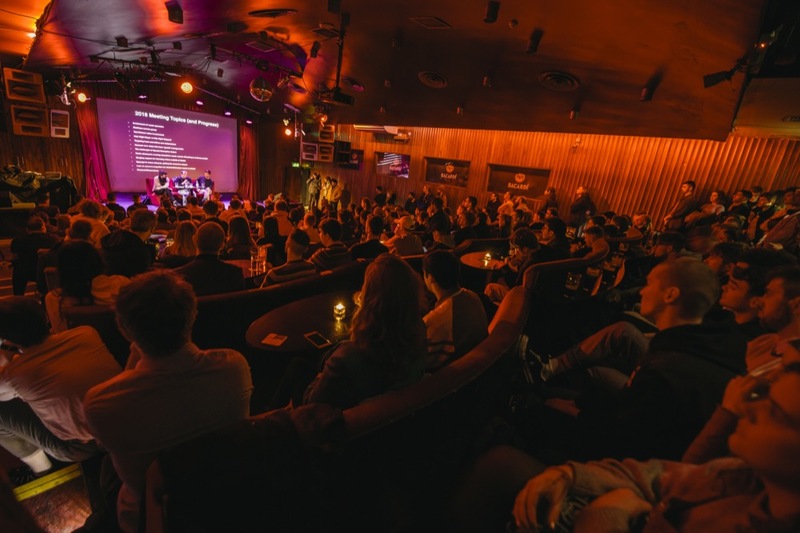 Our editor Michael McDermott attended the Dublin event and shares his thoughts along with those gleaned from attending the Night Mayor Summit in Amsterdam in 2016. It’s 6.30pm on a Monday night at the end of January and the room is packed. Everyone has come to hear an update from Give Us the Night crew spearheaded by Sunil Sharpe, Mick Reddy and Robbie Kitt. Their concerns are pressing. The scene is possibly at its lowest ebb ever staring into the abyss with such a spate of well-documented closures. There’s also the impact of a cultural shift and those licensing laws. But there’s a vibrancy and energy in the room, a sense of possibility, a dire need to change our antiquated ways. Whilst Berlin and Amsterdam are frequently referenced as model cities who value club culture as well as the massive tourist draw this scene generates. However, Give us the Night also make reference to Glasgow. The Glasgow Licensing Board (GLB) passed laws in November permitting venues to apply to stay open until 4am once they pass strict policy criteria. It will be piloted for 12-months after which the Board will evaluate its impact on the city. Why? Because the authorities want the city to feel “more European”. And because the night-time economy generates an estimated £2.16bn a year supporting 16,000 jobs in the process. 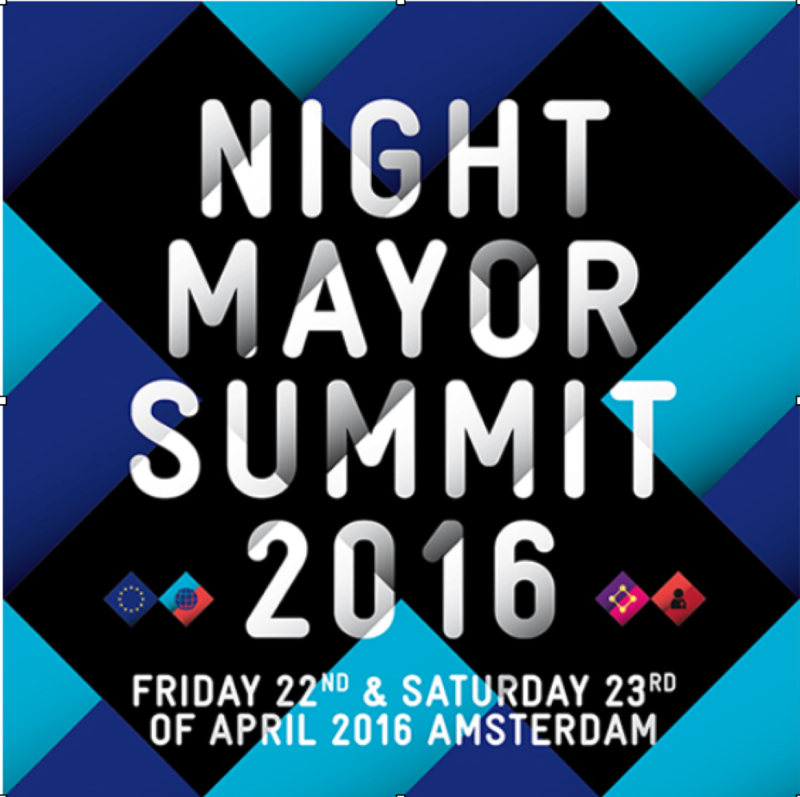 In April 2016, I travelled to Amsterdam to attend the first ever Night Mayor summit hosted by their then mayor Mirik Milan. Shamiro van der Geld has since replaced him. As Night Mayor, Milan acted as a middleman between the municipality of Amsterdam, small business owners, and residents. As part of his achievement in office, 24-hour licenses were awarded to ten venues dotted around Amsterdam, but away from the city centre, that were offering exceptional entertainment options. “We gave the licenses to venues that were doing something special, like art expos, brilliant nightclub nights and good music; but were multifunctional and we knew that they could become internationally well known,” said Milan. Bodytonic’s move to take over the lease on the Wright Venue and turn it into Jam Park echoes this line of thinking. However, the summit was not merely about the need for a mayor or how one accommodates clubbing. It was couched in the much more palatable terms of a 24/7 economy. Caroline Gehrels, the European Director of Big Urban Clients at Arcadias spoke about interventions in cities. She categorised the key elements for a night-time economy under the following headings: resilience, mobility, regeneration, collaboration and integrated design. Gehrels went on to highlight a number of instances where these are considered. Of particular note was the idea of dynamic lighting. An instance of this is the lighting of bus shelters which increases as the winter months set in. This has also been explored whereby lighting increases in spaces with low density walking at night to increase safety. Gehrels discussed heat maps whereby people can from central points see which areas are busy or not late at night. This ties in with CCTV and other existing technology. They can also listen to audio thereby alerting them to potentially noisy spaces. It is about “the fusion and tech and people” to make streets a safer experience and one which is friendly and accessible. It is about “guidance over control” and one of loving the night but respecting those who love the day, she said. Professor Zef Hemel who specialises in urban planning spoke about us now living in cities which are “programmed”. And how we need to appreciate this. Cities create value and citizens should be part of this value creation process. Is the event one big party? No, he stated, it is one big value creation. Lutz Leichsenring was at the Summit as a spokesperson for the Berlin Club Commission. There is no blueprint or masterplan to the success of the city but there is an agile responsive process. This dates back to 1949 when Berlin first adopted a 24-hour culture so it is fair to say 70 years of experience gives them a bit of a headstart. There are over 30 million night stays per annum with 35% of those citing nightlife & music as a key attraction. He spoke of soundproofing venues and how investment in spaces equates with investment in creativity. He also alluded to a creeping concern there whereby hedge funds, who don’t care a whit about the social fabric or needs of communities, become owners of space. 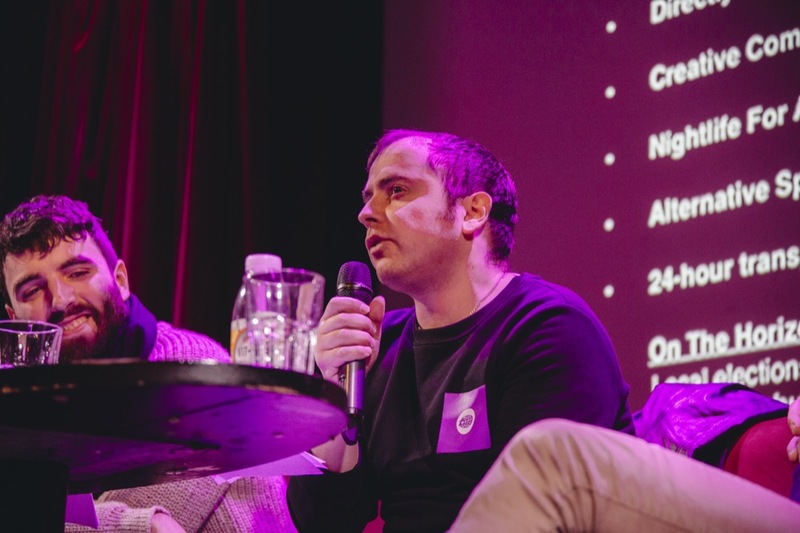 Shain Shapiro from Sound Diplomacy, an organisation who create and deliver strategies that increase the value of music ecosystems, discussed his work in London with the Night-Time Commission. This has led to the appointment of Amy Lamé as London’s first Night Czar. The row back on the closure of Fabric and the preservation of the Joiners Arms as an LGBT+ venue in Hoxton are two tangential examples of London’s growing appreciation of its club heritage and essential spaces. So what learning could be gleaned for Dublin? It’s a bigger picture, joined-up thinking undertaking. Culture Night, Darkness into Light, the lighting of renowned buildings and bridges in the city, the bike scheme all have a part to play. How can public policies strengthen, support and accommodate the unfolding of spontaneous actions in the city’s nightlife? Public discourse must not be solely focused on the needs of clubbers but the wider public. Can we start thinking and framing discourse around public power and urban planning, culture and tourism, mediation and legislation? This is NOT about keeping the venue lights on in Temple Bar throughout the night. This is NOT about turning Dublin into Berlin. This is NOT solely about licensing hours. Dublin has a lot to learn from existing studies and developments pertaining to other cities. We do not have to start this from ground zero but rather leverage and adapt some of the learnings from cities who have explored this concept in greater detail to date. Dublin is its own unique entity and therefore, there is no one solution implemented elsewhere which can be grafted onto the city. However, there are initiatives undertaken in most of these cities which could be seen as progressive solutions here. At the end of the Give Us The Night forum, Sunil Sharpe urged attendees to note that this campaign is everybody’s and we are all custodians of this message about the need for change. At the end of my trip, I submitted a report to Dublin City Council for their consideration detailing most of what I have outlined above. I never heard back from them. However, the insights in the report submitted in 2016 still hold true in 2019.